Our giveaway item this week was our popular Kick and Play Piano mats. Lots of exciting features to encourage your baby to reach our, grab, pull and spin, keeping them entertained whilst you put your feet up for that well deserved cuppa. This versatile play mat can take your baby from newborn to tummy time to sitting up. Offering a wide range of activities to keep them engaged. The lucky person has been chosen at random and we can reveal that person is… ‘amy_denney89’ Congratulations! In the meantime, come and take a look at our new HUSH bedside cribs available for just £89.99 direct via our website. These stylish and practical coo-sleepers ensure baby is kept close all night. NEW IN! 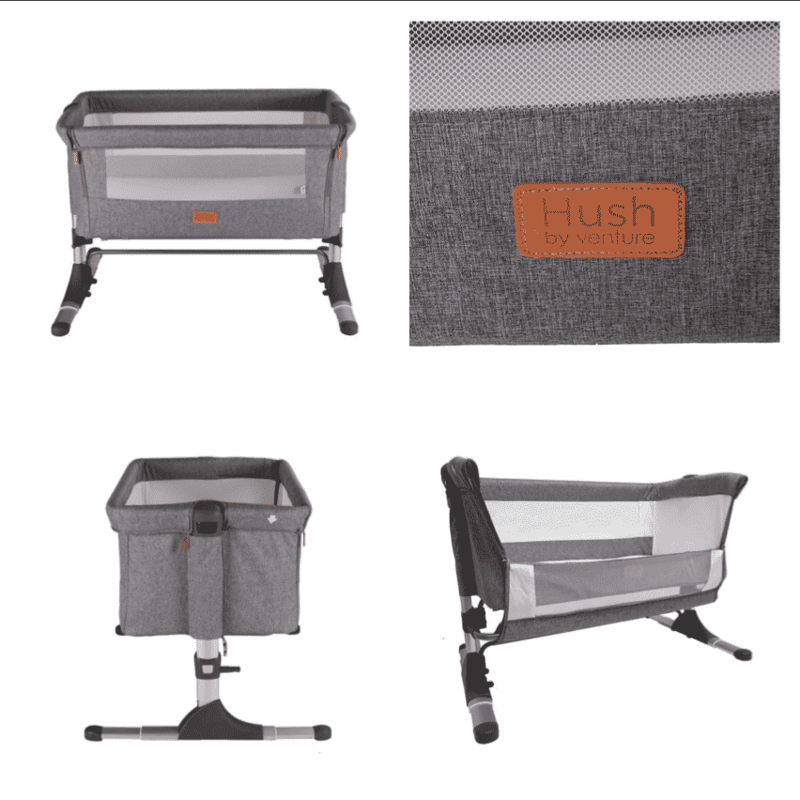 Our HUSH bedside cribs make the perfect co-sleeper.